Famous people born on SEPTEMBER 28 are Libras that everyone is talking about. They are incredibly appealing and approachable. They may have their share fair of “haters” or jealous people. However, they let this distract them. They have an extreme amount of energy and imagination. Famous people born on September 28 want to be successful and with their natural characteristics. They would make an excellent candidate to work in social services. There is always a need for caring and innovative individuals such as these. While this may be true, the famous celebrities born on September 28 dislike those that stir the pot and people who feel that they are better than anyone else. Having these feelings, they pretty much keep to themselves. As an imperfection, they are not really tolerant and they can be isolated or withdrawn. 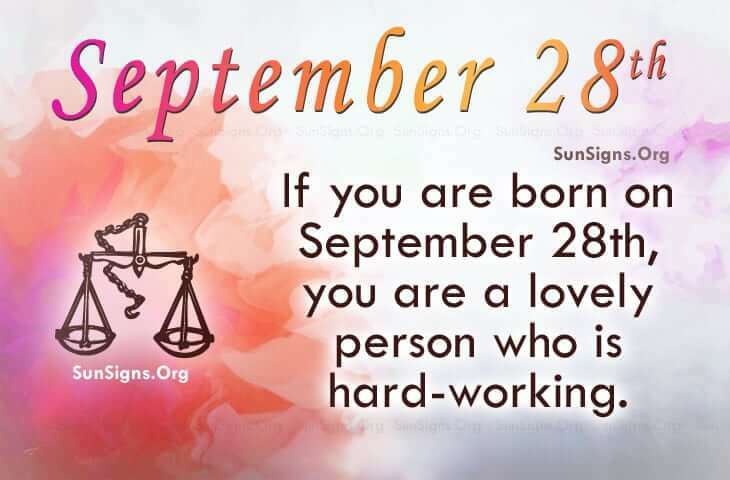 Additionally, the September 28 born allow people to take advantage of them. This needs to stop. It uses up too much of their inner self and they can become lost or trapped in another world. Famous people born on September 28 are charming but moody people. They value their freedom but the Libra zodiac sign is extremely impatient. Underneath their skin is a lovely person who is hard-working but is indecisive.